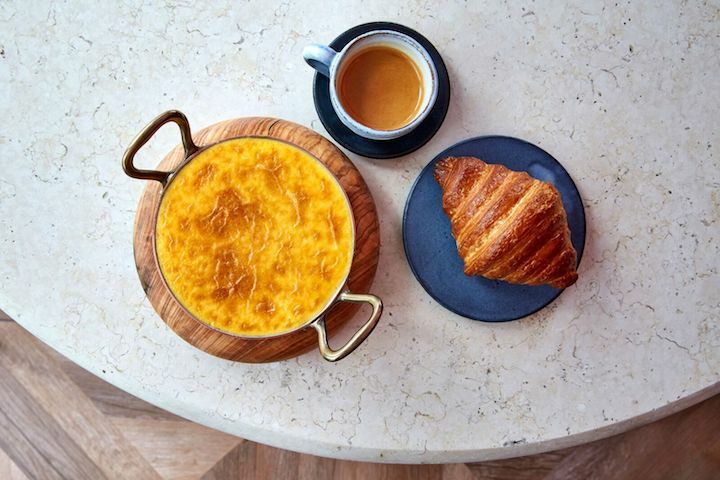 Chef Stephen Raaff hits all the spots here with his refined, flavour-packed approach to casual fine-dining, a concept that seems to be on the rise lately. 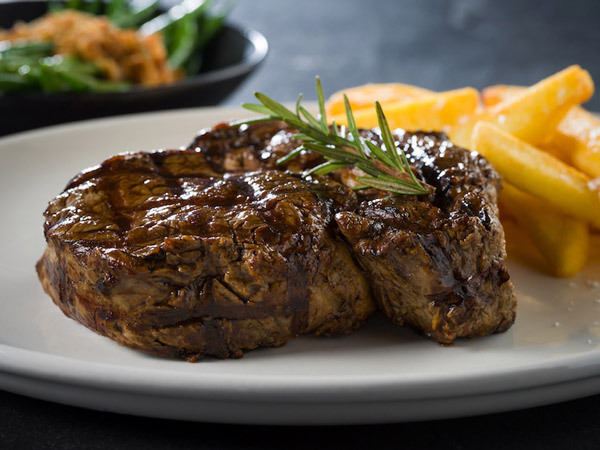 Diners can choose between a selection of small (and some not-so-small) plates designed for sharing, or opt for the chef’s menu, a selection of seven of the chef’s favourite dishes for the table, at a cost of R475 per person. 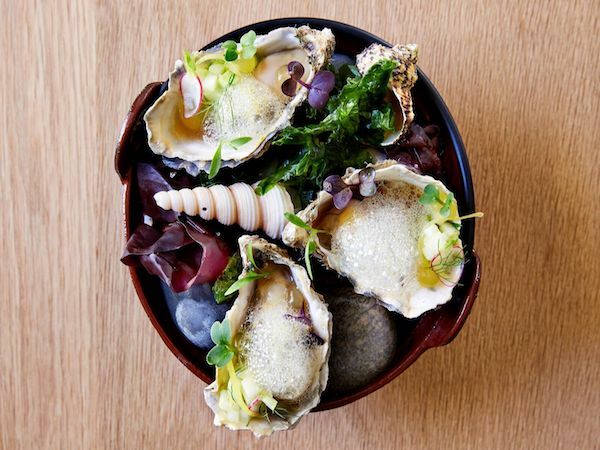 To start, opt for sourdough with goat’s butter, olive and biltong, or Asian-style Saldanha oysters. Sticky edamame beans with house-made sriracha and sesame seeds are a perfect introduction to mains – you’ll want to scoop up that sticky glaze with a spoon! The Korean fried chicken with buttermilk is a sophisticated take on KFC – a plump drumstick coated in a sticky glaze and served with a foamy coriander dressing that’ll have you shamelessly double dipping. The tataki and tartare consists of tuna tataki and beef tartare on a smear of coriander and avocado cream respectively, both with a miso gel, chipotle and a wisp of crispy pork crackling. It’ll be hard to share. Discreet and attentive, with just the right relaxed note. 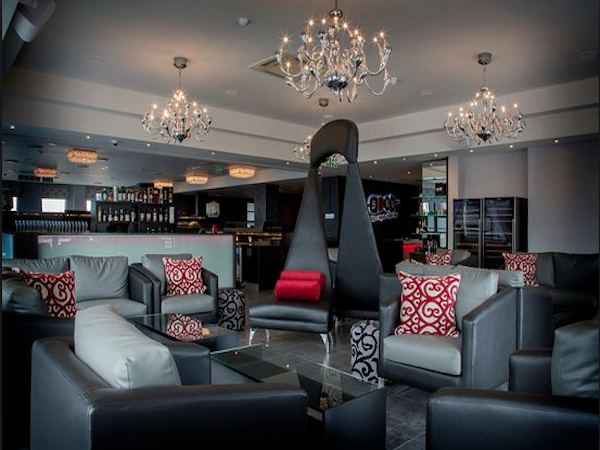 Staff are knowledgeable about the menu and happy to make recommendations. The open kitchen takes centre stage in the airy space, which is decorated in neutral tones with wood and leather. Velvet-upholstered chairs at the marble-topped counter overlooking the kitchen add a touch of glamour. A courtyard makes the most of summer weather. Lovely dining experience! Tuna was amazing, as well as the oysters!! We loved the concept. The staff and hostess were very professional and friendly. The portions were a little small but nevertheless we had a lovely evening! 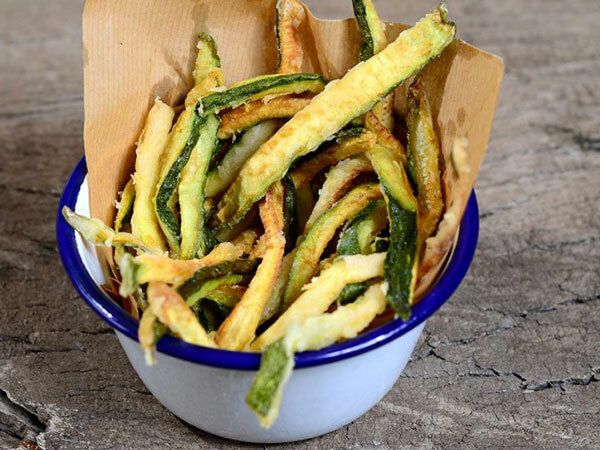 We seem to have new restaurants popping up left, right and centre but there are no complaints from us. 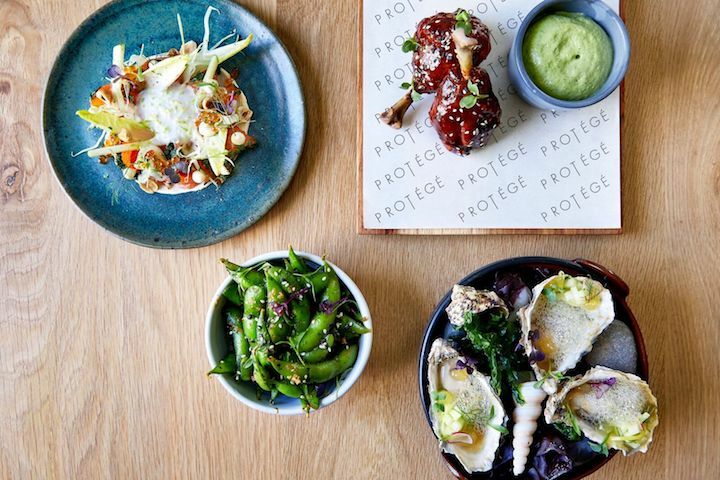 Protégé opened this weekend in Franschhoek in the old space of the Garden Room and Bar at Le Quartier Français - I am silently contemplating on moving to Franschhoek purely for the sheer abundance of good restaurants. 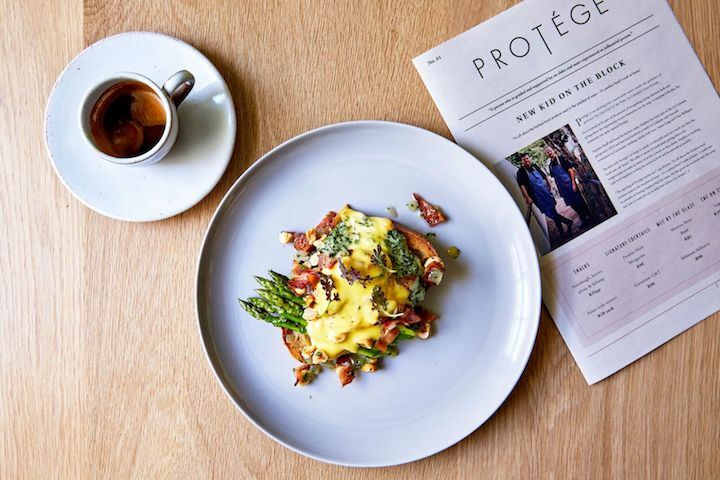 Protégé is a Scott Kirton establishment - The guy who headed up La Colombe. Protégé. Scott Kirton. La Colombe. Just those tree words were enough to tell me that we were going to be wowed and wowed we were. Protégé focuses more about sharing plates like you tapas. The only issue I have is that basically everything looks great so I had to restrain myself. My better have broke down our courses. We started of some Sourdough with Goats Butter, Olives and Biltong. Bread was warm and soft. The Goats Butter was excellent and that was some good biltong. I just had to try out their Asian Oysters because I love that everyone puts their own spin on it and Protégé didn't disappoint - plump and fat oysters hidden under a sharpish dressing. Usually we start with some MCC but decided to let our hair down and sample their signature cocktails. Basil and Raspberry Mojito for me and a Passion Fruit Margarita for him - both were delicious. 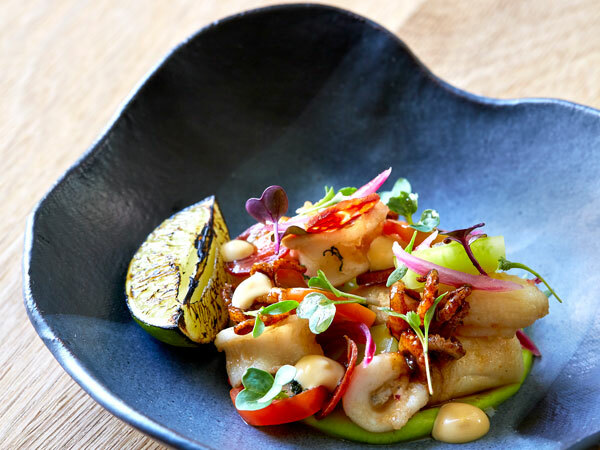 First Course: SPICED SQUID with Chorizo, guacamole, cucumber and lime. The squid was cooked perfectly. 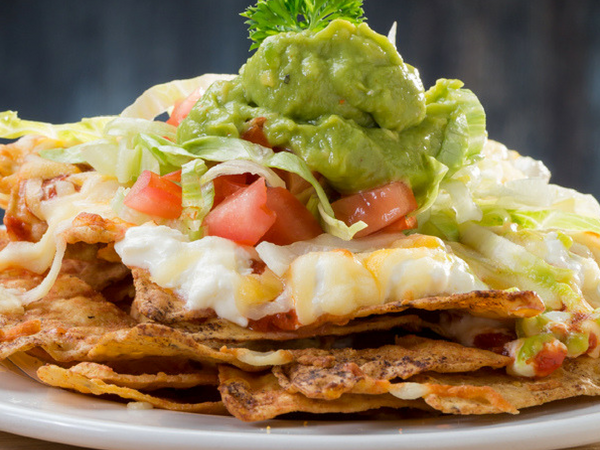 A perfectly balanced dish. KERALA STYLE FRIED LINE FISH with Labneh, cucumber and pickles. I have an unhealthy obsession with Kerala Fish Curry or Fried Fish. The first thing that hits you is the smell and no it isn't fishy. It was more of a roasted spice coupled with fresh curry leaves smell. Anyway, this dish was excellent with a mixture of textures. A truly authentic Keralen dish. This lovely seafood course was washed down with their Elder Flower French cocktail - a soft and sweet smelling cocktail. Second Course: ROTI with Braised lamb, herbs and pickles. Perfect little roties that were soft and fluffy with the most tender lamb. 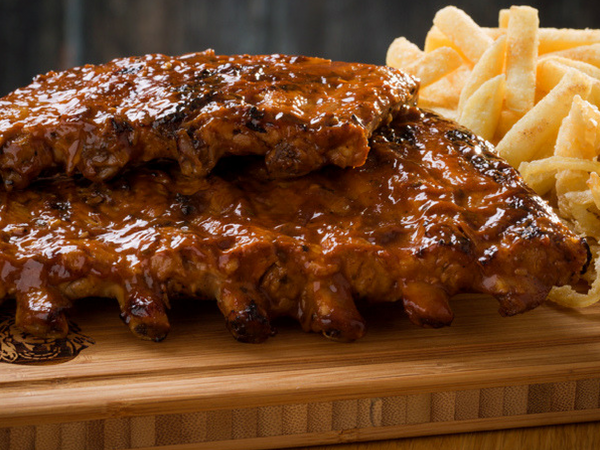 Delicious but be sure to order two portions as you won't want to share these. CONFIT PORK BELLY with Mozambican prawns and miso corn. The Pork Belly was cooked really well to the point where it actually melted in my mouth. Prawns were cooked perfectly. A lovely dish. Third Course: KFC with Coriander and buttermilk. So he came up with this funny acronym for his instagram post. KFC done right is Korean Fried Chicken and this was done so right. The Coriander and buttermilk foam/dipping sauce was the perfect accompaniment. EAST COAST CRAYFISH done Cape Malay style. Now I was a bit apprehensive about this dish as I like my crayfish plain and simple with some butter and garlic. Having said that I truly enjoyed every mouthful of this version. This course was washed down with their Geranium Gin and Tonic. It was ordered because we saw a couple floating past and it looked so beautiful with the pink colour and frozen block of ice with a Geranium flower in it. Beautiful with a lovely flavour and aroma. For dessert I opted for the VANILLA PANNA COTTA with Macadamia and strawberry. A lovely dessert that was a cool and light ending to an amazing lunch. He couldn't say no to the Protégé selection of CHOCOLATE TRUFFLES and it was a good choice too. The service was excellent even though this was only their second day. The food is outstanding and I will have to dine there again as I still want to try all the other dishes. If you sit inside you will have an excellent view of the kitchen and see the amount of concentration as well as work that goes into these sublime dishes. 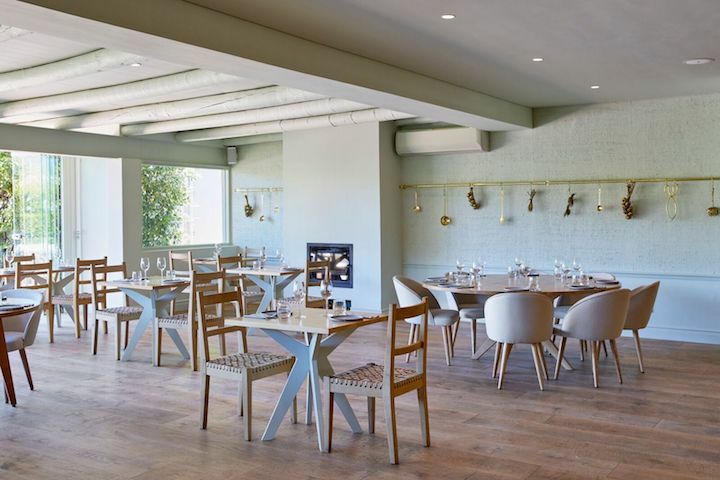 Definitely a restaurant to visit if you are going to Franschhoek.